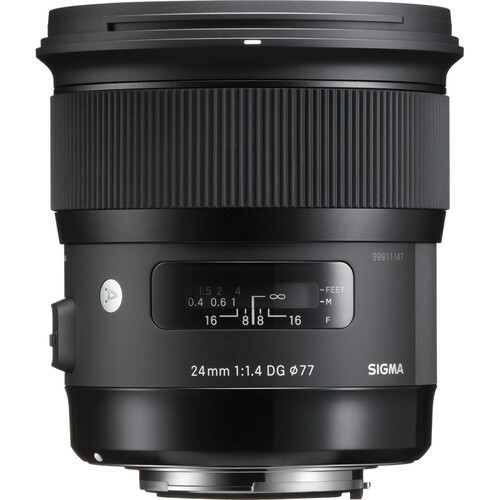 Sigma News and Rumors: Sigma has announced the 24mm f/1.4 Art, DP0 Quattro and additional DP accessories! 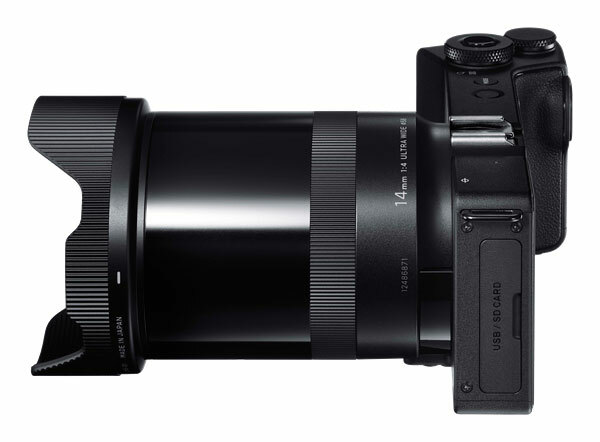 After the successful 35mm f/1.4 Art and 50mm f/1.4 Art it was only a matter of time before Sigma would announce additional primes and expand the Art series up- and downwards. More than a year ago first rumors have emerged, according to which Sigma was developing 24mm Art and 85mm Art primes and was to release them “very soon”. The Japanese lens maker has, however, let quite a few photo shows pass, without announcing one of the rumoured Art lenses. Finally, prior to the CP+ show, the wide angle lens was announced. Despite the most advanced optical formula of all the Art primes – consisting of 15 elements (9 of which are special-purpos lenses) in 11 groups – the new lens is considerably smaller and lighter than the 50mm f/1.4 Art. Weighing 665g and having a length/diameter of 90,2mm/85mm, it is very similar to the 35/1.4 Art in terms of size and weight. The lens is supposed to be released on the 20. 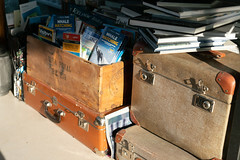 March and have an RRP of $849. 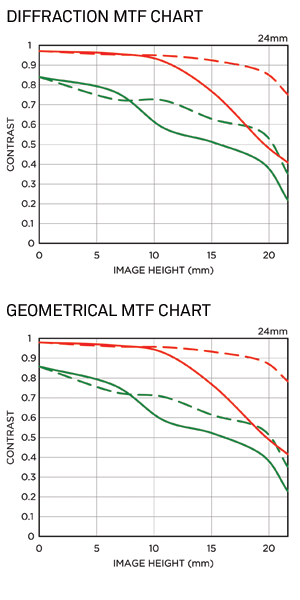 You can view the MTF charts and the optical formula below. 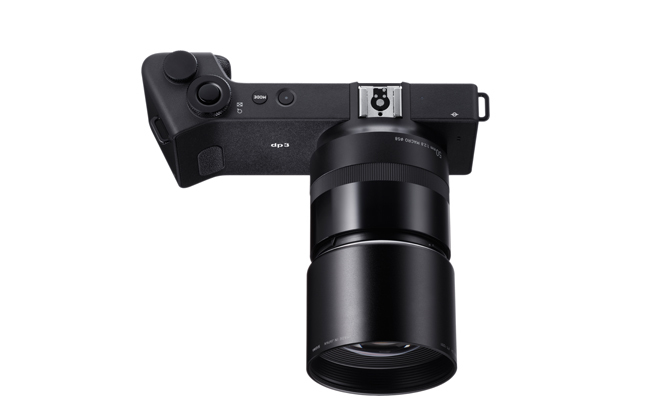 Besides the 24mm f/1.4 Art, which was expected to be released for quite some time now, Sigma has also announced a camera, which appears to be coming out of nowhere. If I recall correctly, there were no rumors about the widest angle DP of all time. 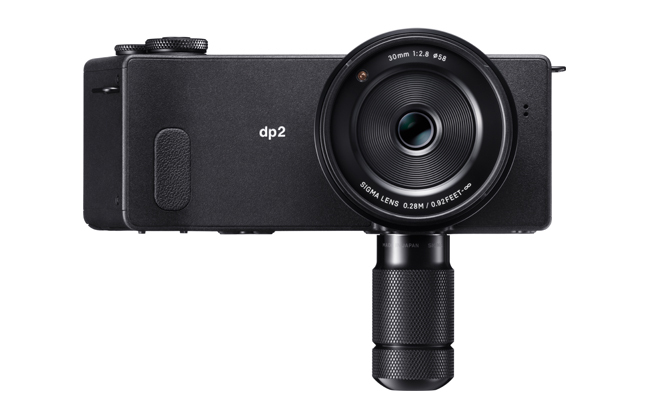 The DP0 Quattro is built around the same Quattro Foveon sensor and the same electronics, like the rest of the Quattro line up, but it will be sporting a 14mm f/4 lens (21mm FF equivalent). 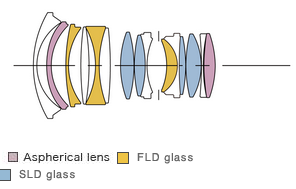 As a reminder, the DP1Q, DP2Q and DP3Q have 19, 30 and 50mm lenses (28, 45 and 75mm FF equivalents). The DP0Q can already be pre-ordered in the USA, however currently there is no info regarding price and availability.